Last summer, during one my usual “visit” to my favorite miniatures shop, Goblin Torino, I saw some War of the Roses Perry boxes. The miniatures have excellent poses and they are in plastic … the material I prefer. So I decided to buy three boxes: two war of the roses and one of mercenaries. It was the first time I painted war of the roses and, so, I bought some Osprey publications to be sure of choosing the correct colors schemes for the different liveries. I concentrated my attention on the first period of English civil war 1455-1461. The period that ending with one of the bloodiest battles of the war: Towton. The first struggle of the war can be considered the fist St Albans battle. 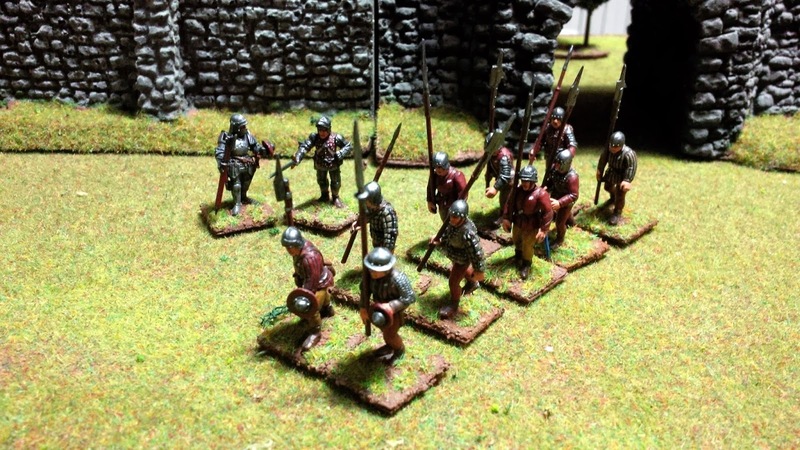 It was a Yorkish victory even if Edward IV had around 7,000 men against the 2,000 Lancastrian troops. I prepared two contingents of allies. Marco, your painting is exquisite. What a beautiful collection. Are they 15 mm or 25? Thank Jeff. War of the roses, Napoleonic are 28 mm miniatures while Roman are 15 mm. All war of the roses are perry minatures. Great looking painting. Just acquired a box of these and looking forward to completing them.